Welcome back to Shin Guardz 101, our look at the underrated importance of shin guards. Yesterday, we analyzed the adidas shin guard landscape. Today, Puma’s up. Puma have made a real push to make the Big 2 into the Big 3 in the soccer world, and they have been making some pretty big strides over the last decade or so. Perhaps their biggest gains have been in the shin guard game. They have both slip-in and more traditional ankle guards, satisfying all players’ preferences. Let’s take a look at some of the awesome guards that Puma has to offer. The top end slip-in guard for Puma is the evoPOWER 1 Shin Guard. These guards are full of Puma-patented tech, including SAS-TEC Protection System, safeCELL, and a slip-proof ACTV sleeve that includes an internal grip. These guards are ultra-lightweight, ensuring that you are not weighed down. Designed and geared for the crucial moment of impact, these keep you safe when you need them, while also staying out of the way when you don’t. They are possibly the most original shin guards you will see on the market today, due to their form-fitting foam protection that conforms to the shape of your shin. Check the video below to see what I’m talking about. 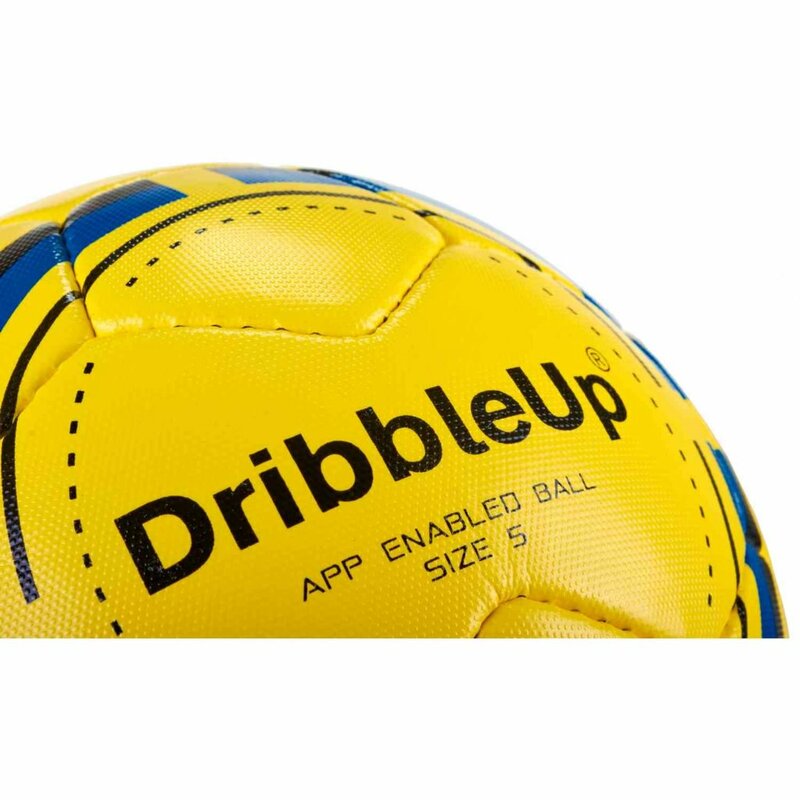 The evoPOWER 1 is $65 retail, or $58.49 at SoccerPro. 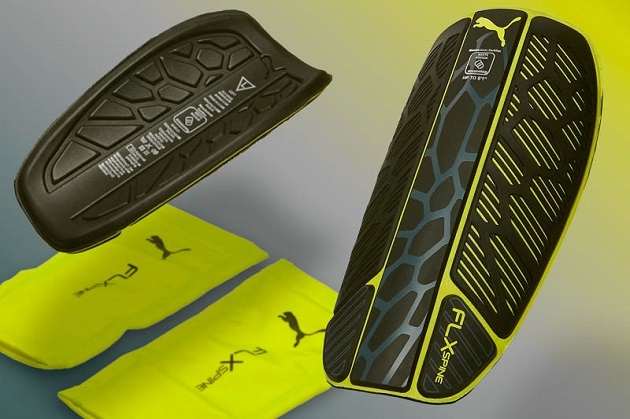 The next guard is the Puma FLX Spine Shin Guard. These guards have a flexible, die-cut PU shell to absorb impact, while also providing the strong stability that that Spine name suggests. If compression sleeves are your cup of tea, these guards have a sleeve that feature an internal grip, with slip-proof ACTV technology ensuring your guards stay in place. At $45 retail, the FLX Spine comes in a little under the high-end evoPOWER 1. Slip-in guards have become very popular with players who want a smaller, more adapting shin guard. The evoSPEED 1 Shin Guards are exactly that, giving the wearer excellent protection while remaining light enough for you to not give up any speed or any little edge you might have. These guards are all about being lightweight, including EVA backing and slip-proof ACTV technology. These guards are light on the wallet too, only costing $24.99 retail. 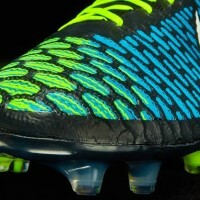 If traditional guards with ankle protection are more your style, check out the evoSPEED 3 Guards. These have all you need to be fully protected from any tackle. With a PP shell for high impact protection and a lightweight EVA backing for comfort, there is plenty to be excited about with these guards. Perhaps the best part of these guards are the price, as they run for only $20. Puma tends to be a bit more expensive than the other Big 3 companies, but they also seem to put a little more time and effort into their guards. 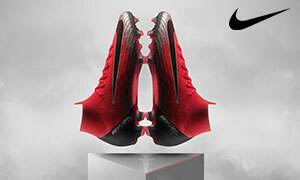 They are more expensive than both Nike and adidas at almost every level, which says that Puma really believes in their technology. Puma has gained quite a fan base, so they must be doing something right over there. 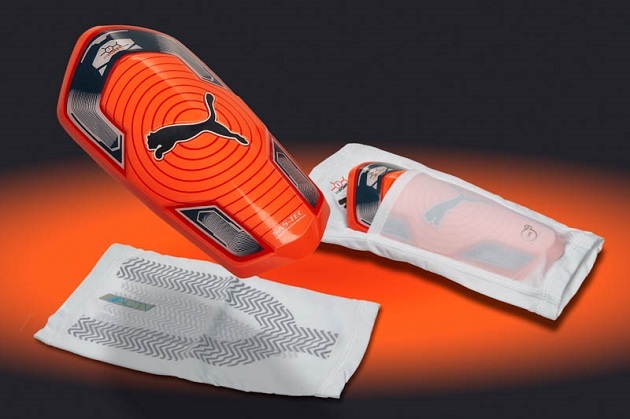 Take a look at all of SoccerPro’s Puma shin guards. I am a contributor to SoccerPro’s blogs, and truly enjoy writing about the World’s Game. I support Sporting KC, US National Team, and Slovenian National Team. I follow the Premier League but don’t necessarily have a favorite club. I am an avid sports fan, but prefer college to professional leagues in every sport with exception to soccer. I love the Mizzou Tigers, KC Royals, and KC Chiefs. Outside sports I enjoy movies, music, and musical theatre.